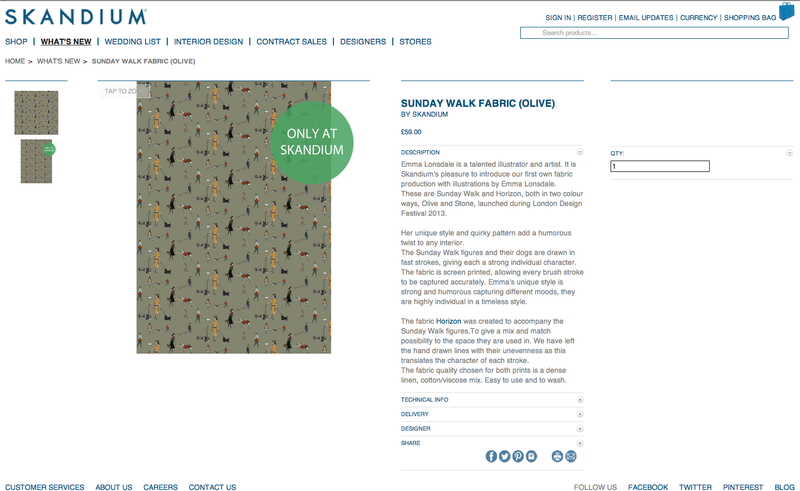 SKANDIUM fabric designed by Emma Lonsdale is now available! Its been a long time coming but it is finally in the Skandium stores this week for sale. Check out Horizon and Sunday Walk, both complimentary fabrics that will look great together or sit alone. 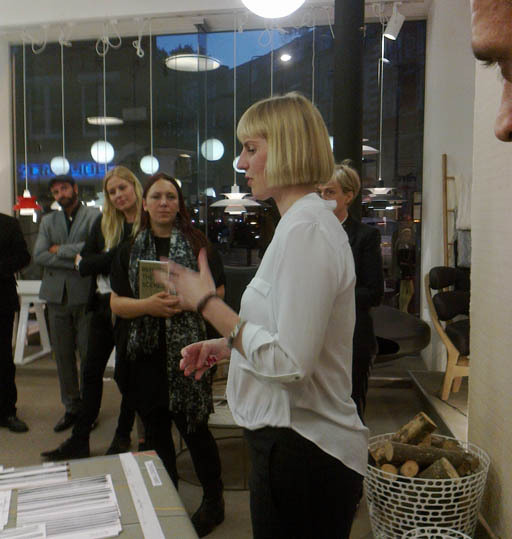 They are available online at http://www.skandium.com/what-s-new. The show was a Huge success. 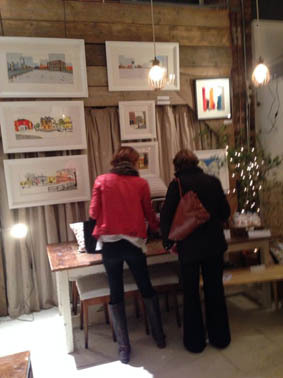 Lots of interest and sales, especially the christmas tea towels! 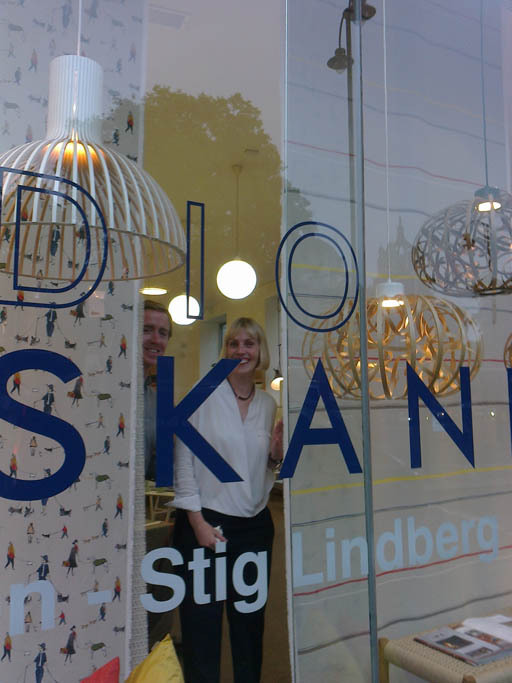 Sunday stroll and Horizon on show at Skandium! The launch was a great success! Lots of people mingling and enjoying the design work. 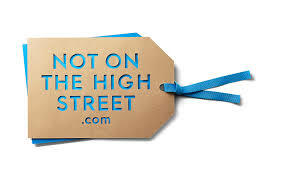 Positive feedback and real interest in the designs and fabric. 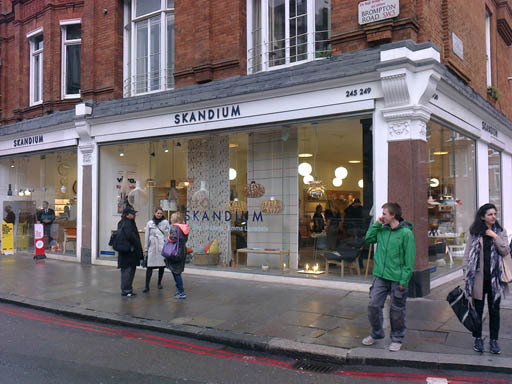 Skandium's window display looked fantastic. Beautifully crafted lighting and classic pieces of furntiure sat alongside the huge widths of fabric. It was a great moment for me to see my name and fabric being showcased. The clock is ticking and the countdown has commenced. 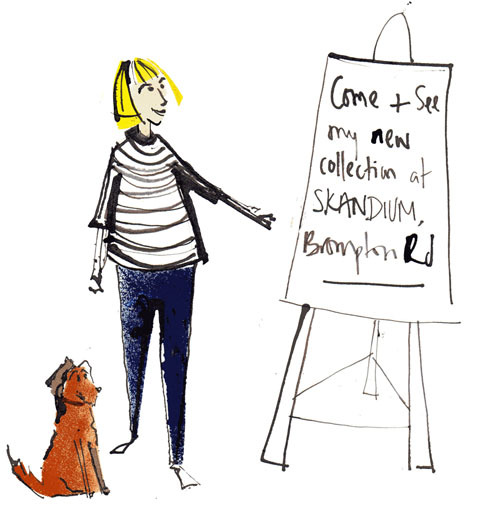 Not long now before the fantastic London Design Festival kicks off and more important the grand launch of my New Collection at SKANDIUM. 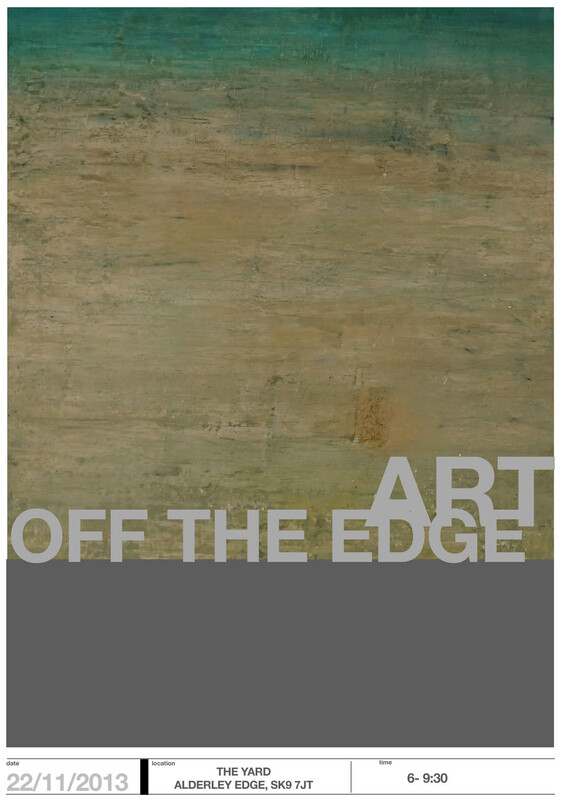 THURSDAY 19th September 6-8pm. It's been years in the making and fingers crossed it is going to be a success! SKANDIUM will be displaying and selling both 'Horizon' and 'Sunday Stroll' fabrics which come in two great colours. The Fabric is designed to be appreciated by everyone (even if you don't own a furry friend!). The characters that feature in the Sunday stroll fabric have been hand drawn, painted and painstakingly put into a repeat pattern. Colour and placement play a huge role in this design. Capturing the movement and relationship between the different dogs and their dogwalkers was very important to me when creating this design. As a dog enthusiast and keen dogwalker I come across fellow dogwalkers everyday on my walks and the simlarities that are shared between man and his dog fascinates me.